Seasonal affective disorder (SAD) is a common psychological disorder. It seriously affects the daily functioning of the patient. This condition can make you feel tired, so you can not enjoy life. If not treated promptly, seasonal affective disorder can develop into depression. Are you facing with this disease? If so, you need to be aware that the application of treatments should be done as soon as possible. Do not worry because you are not alone in this war. 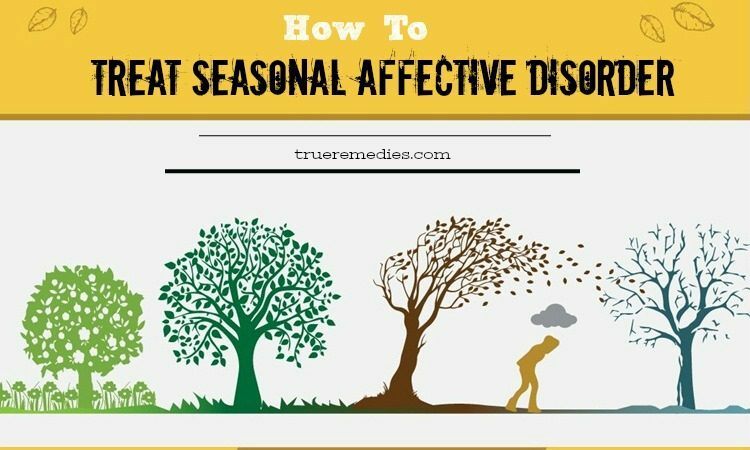 This article will guide you on how to treat seasonal affective disorder naturally at home. But to do that, you need to find out more about your problem through the information below. Seasonal affective disorder is often referred to as SAD. It is a type of depression that occurs in the same season each year. If you get it, the symptoms will begin to manifest in the fall and continue in the winter months, reducing your energy and making you feel sad. In some cases, seasonal depression causes depression in the spring or early summer. However, this condition is very rare. Seasonal affective disorder usually affects people aged 18-30. At present, there are some studies that prove that the disease is inherited. Heredity causes the patient’s eyes to become very sensitive to light. In seasons with little sunlight, the mood of the patient is likely to change in a positive way. This seems to be in contrast to an action disorder which causes the patient to become extremely sensitive to intense light  . Today, doctors have developed methods for treating seasonal affective disorder, including light therapy, psychotherapy and medicine. When you experience the symptoms of seasonal affective disorder, you probably do not want to contact anyone. Then you do not think you are suffering from a disease. That is why many patients do not cooperate with their doctors during treatment. Do not deny this symptom every year such as the sadness of winter or the loneliness that you suffer. Get the help of friends, relatives and doctors to keep your mood and motivation stable throughout the year. It is important to believe that life is beautiful and you deserve happiness. What Are Common Causes Of Seasonal Affective Disorder? People living in areas with longer winter nights (high latitudes) and less sunlight are more likely to be infected. For example, seasonal affective disorder is more common in Canada and Alaska than in Florida. Light is believed to affect the patient. Many researchers believe that reducing exposure to sunlight affects the natural circadian clock that regulates hormones, sleep, and spirit. Other researchers think that the chemicals of the brain that depend on light can affect many people with seasonal affective disorder. In addition, the lack of sunlight makes it difficult for the body to synthesize vitamin D (the body is difficult to synthesize vitamin D absorbed from food without sunlight) and tryptophan. As you know, tryptophan is a substance that helps the body produce serotonin – an anti-depressant hormone. This is the reason why the disease usually occurs in winter – the season has very little sunlight. 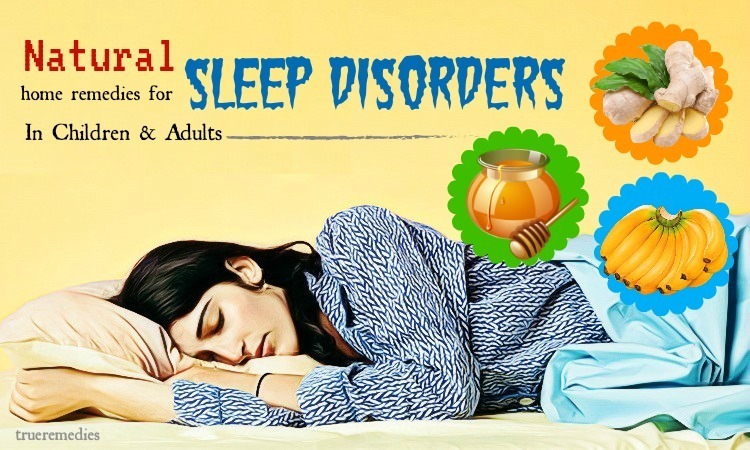 Have you ever wondered why you often feel very sleepy in winter? This is because the lack of sunlight makes the body very difficult to produce serotonin, but produces a lot of melatonin. This makes you feel tired, sad and sleepy. For many people, temperature can cause great physical and mental stress. When the weather is cold, you always want to hide in your bedroom or in a warm room rather than participating in an outdoor event. Low temperatures can make you less active so you always want to get more rest. Cold and dry weather can also cause your skin to dry, causing you discomfort. All this makes you very susceptible to seasonal affective disorder. In humid and cold weather, you are prone to allergies due to mold, dust, or pollen. Researchers believe that allergies and respiratory diseases cause seasonal affective disorder in some people. For some people, disruption in routine and daily life schedules can make them feel stressed. In most cases, winter often results in more activities that take up most of the day, which can cause sleep deprivation, poor work performance and unhealthy eating habits. Winter is a time when many people participate in holiday and travel activities. However, due to some conditions such as finance, time, health, etc., some people cannot enjoy the holiday. That will create jealousy and sadness, damaging mental health. Winter is the season of festivals and holidays. This has led to increased financial pressures. Then, seasonal affective disorder is unavoidable. The cold season, especially the festive season, makes your eating habits go upside down. Attending meetings with family, friends or colleagues causes your stomach to overload and bloat. Consuming too much greasy food and drinking too much alcohol causes your body not to get enough energy. So, you are prone to getting tired, feeling dizzy and depressed. Many studies have confirmed that exercise is closely related to your mood. If you exercise regularly, you can maintain very positive thoughts. However, when the weather is cold, you always want to be sitting by the fireplace rather than going out and running. That also causes you to be depressed. What Are Common Symptoms Of Seasonal Affective Disorder? Seasonal affective disorder is very common and often affects women more than men. It can affect people between the ages of 18 and 30. In addition, if you have seasonal allergies, you are also more likely to suffer from seasonal affective disorder. Younger people are at higher risk for winter depression and winter depression less likely to occur in adults. There are clinical depression and bipolar disorder. The symptoms of depression can be worse than seasonal if you have one of these conditions.You can control this problem by minimizing risk factors. Please see your doctor for more information. 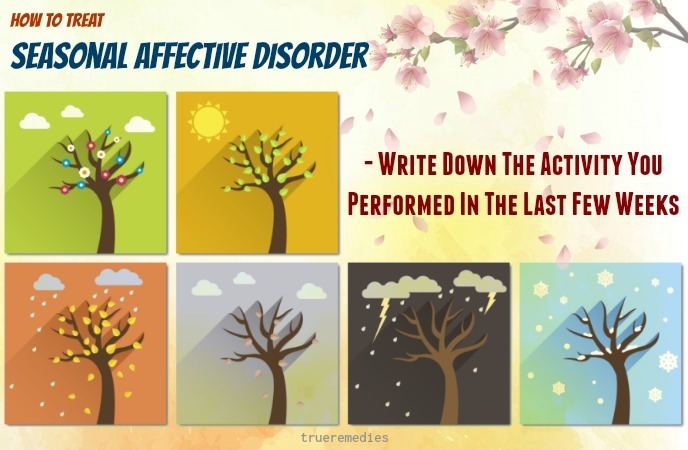 Above are some basic information about seasonal affective disorder. As we said above, this disease causes a lot of negative impact on your life. It makes you cannot find joy in life. Then, life becomes very meaningless. 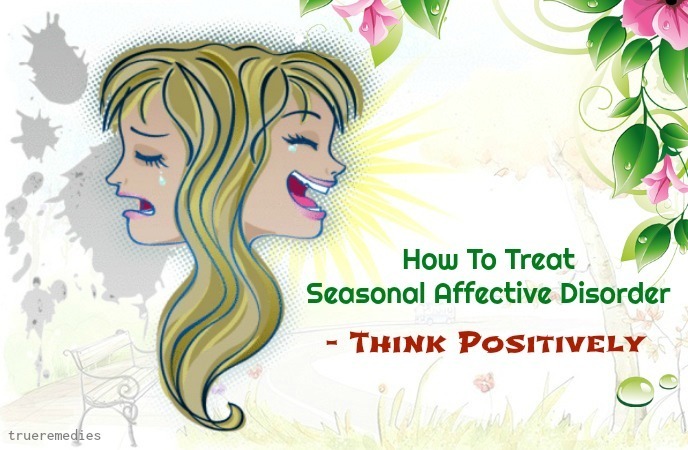 Below, we introduce you tips on how to treat seasonal affective disorder naturally at home. 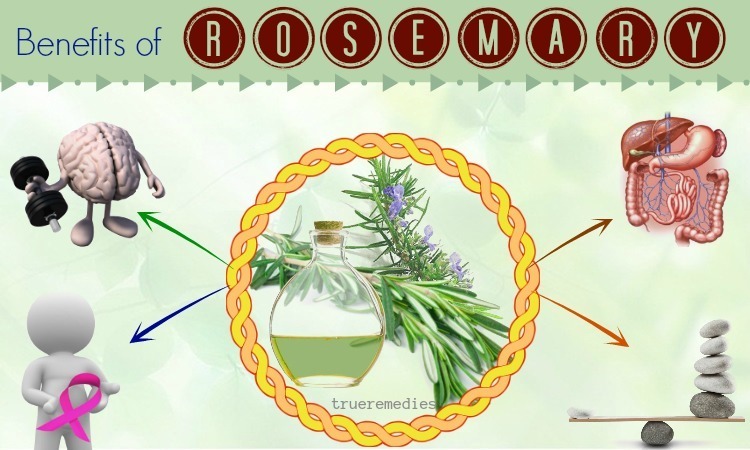 Have a look at TrueRemedies.com! First of all when it comes to tips on how to treat seasonal affective disorder naturally at home is to write down what you did. Try to record the list of all activities (go to work, go to school, eat and wash). Observe whether or not patterns appear in these activities. You should also keep in mind the frequency of certain activities that you usually do voluntarily and cheerfully. Use this list to track whether you have risky behavior. Seasonally depressed people often take risks because they no longer care about their lives, and they need the care of others. If you suffer from seasonal depression, this is a difficult task to accomplish. Spend some time, or ask relatives or friends you trust to help write the list. The next must-try tip on how to treat seasonal affective disorder at home is to talk to your relatives or close friends to see if they find out your actions have changed. The experience is the most important, but opinions from others are equally important. People close to you may find you often sad, crying or unable to do a simple work such as taking a shower. In the course of treatment, you need the help of those around you. Since outdoor hours are limited in the winter months, using a light box will help you reduce symptoms of SAD. It is worth investing because 60-80% of SAD sufferers saw improvements in their condition. 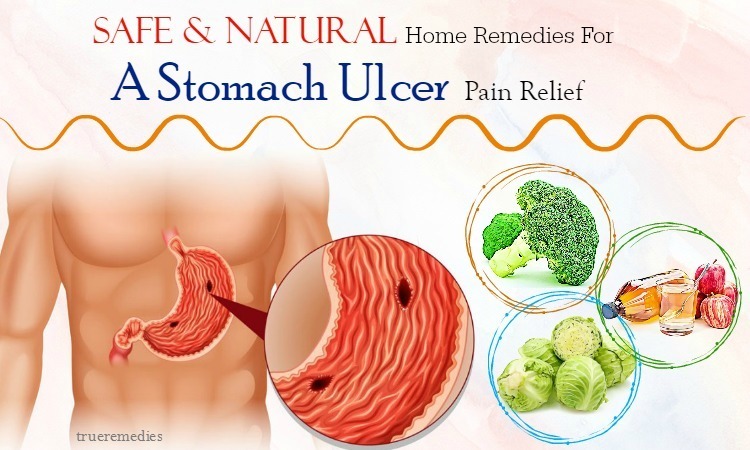 Up to now, this is considered the best natural treatment available . Also known as light therapy, using a light box will help you increase your chance of being exposed to the artificial light during the hardest time. As a SAD sufferer, you should use light therapy every day, from the moment you see the first symptom, until the spring months, when this condition resolves on its own. Oftentimes, after 15 to 30 minutes of using light therapy daily, you will feel improvements. The improvements are sensed with 2-4 days of application. 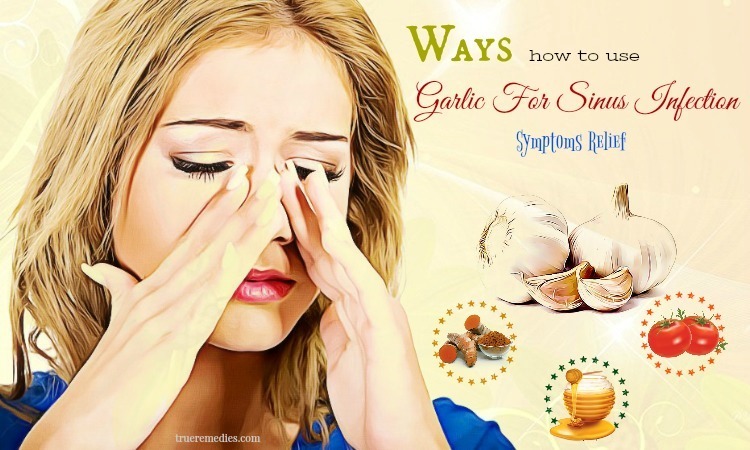 As SAD symptoms will quickly return after the therapy stops, you should consistently use this method during the winter time to get best results. Besides, you had better carry out this method in the morning to avoid trouble falling asleep in the evening. You do not need to have a prescription in order to make use of light therapy however, there are also side effects associated with this therapy, such as eye strains or headaches. Due to UV exposure, you should see a healthcare provider specializing in light therapy to get proper advice on the right amount of light and the way to filter out those dangerous UV rays. The sunshine vitamin has been proven to reduce the severity of depression. People with SAD usually have low vitamin D levels. Though there is not enough scientific evidence behind the effectiveness of vitamin D supplements for our health and well-being, it is worth consulting your doctor to warrant that your vitamin D intake I is suitable for your own case . Most U.S adults have vitamin D deficiency, so using a supplement can help you improve your immune system, boost bone health and make you feel better. In regard to learning how to treat seasonal affective disorder at home, knowing the root cause of your issue is important. In such case, consulting a professional will help you a lot. Some diseases can lead to depressive symptoms, especially those related to the thyroid or hormones of the body. Talk to your doctor to determine if a certain current illness causes your SAD condition. In these cases, you need to see a doctor to determine the cause of symptoms and how to overcome. There are many specialists in the field, each with different therapies: psychiatrist counseling, clinical psychologist and psychiatrist. You may meet one or more specialists. Make sure you choose the licensed doctor. Mental health professionals must have a work permit. The Psychology Association website provides basic information on how to choose a qualified doctor who has a degree. Psychologists provide counseling to help patients overcome difficult times in their lives. This therapy can be short or long term and usually focuses on specific problems. Consultants tend to ask questions, and then listen to your answers. They will be objective observers to help you identify key ideas and phrases. They will discuss more detailed ideas to help you deal with the emotional and environmental issues that cause seasonal affective disorder. Clinical psychiatrists are trained to perform the test to make the diagnosis and so they usually focus on psychological issues, or research on behavioral or mental disorders. These specialists apply psychotherapy, assessment scales or tests to assess the patient’s condition. But they often advise patients to use drugs to treat the disease. In most provinces, only psychiatrists are allowed to prescribe medication. Psychiatrists tend to ask questions and listen to your answers. At first you will have difficulty speaking to them, but most people will want to talk to their doctor after a few minutes. Besides, you should find someone to help you feel comfortable and pleasant. Inappropriate counseling can make your condition last longer, leaving you with less effective treatment. You need to remember that not all mental health professionals are right for you. You should find the right counseling and use their services. Do not forget to check health insurance. Although insurance generally applies to both mental illnesses, the degree of development of the disease will determine the time and type of psychotherapy. Before you start treatment, you should discuss this with your insurance company about this. 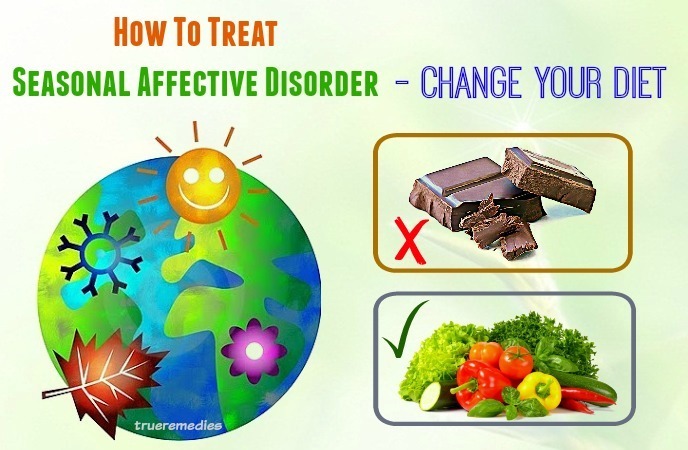 Do not eat foods which contribute to seasonal depression. Prepared foods, processed meats, chocolates, sweet desserts, fried foods, processed cereals, and high fat dairy products are known to cause more depressive symptoms. Therefore, limit the intake of these foods. Eat a variety of foods that work to suppress depression. These foods include fruits, vegetables, and fish. You should eat plenty of these foods to provide nutrients and vitamins that help your body stay healthy . Apply the Mediterranean diet. This is the area known for eating mainly fruits, vegetables, fish, beans, legumes and olive oil. Applying this diet also requires that you limit your intake of alcohol. Enhances absorption of omega-3 fatty acids and folic acid. There is no evidence that boosting omega-3 fatty acids and folic acid is effective enough to treat seasonal affective disorder, but omega-3 fatty acids and folic acid have some effects in improving this disease when combined with other therapies. You should monitor your mood after a few hours after eating certain foods. If you are feeling good or bad, remember to eat what you eat. Do you recognize molds that come with certain foods? You do not need to keep a detailed record of the type of nutrients you take in your body. Instead, you should focus on what foods are absorbed and how they help you stay out of trouble. As you all know, one of the causes of seasonal affective disorder is not regularly exercising. Talk to your doctor or personal trainer to start a practice regimen. Before exercising, you should choose exercises appropriate to your interests, health, and history of injury. Consult your doctor or personal trainer to evaluate your self-training. The specialist will also help you identify which exercises are safe and fun, and which ones give motivation to start. Exercise boosts emotions and prevents recurrence. In some randomized controlled trials, exercise has been shown to have similar effects to medications. Experts say exercise improves the body’s ability to release neurotransmitters and hormones, as well as regulate sleep. The advantage of exercising as a cure for seasonal affective disorder is that physical activity such as running does not cost you a penny. Some activities such as swimming, jogging, or biking are effective exercises in overcoming depression and seasonal affective disorder. You can choose joint cardiovascular exercise, such as swimming or cycling if you can. Communicate with friends or family about taking physical training with you. They will motivate you to exercise outdoors or to the gym. You should explain that promoting yourself is not easy, but you absolutely appreciate any support. Writing diary is regarded as a simple but effective way on how to treat seasonal affective disorder symptoms at home. Use a diary to recognize the factors that affect your mood, energy, health, and sleep. Writing a diary also helps you deal with emotions and identifies the cause of the present feeling. You can learn from diaries writing instructors, diary writing guides and online journaling sites if you need to use more structures. You should make the habit of writing your diary every day, even if you only spend a few minutes a day. There are days when you will want to write a lot, while others will not be interested in writing. Writing will be easier if you practice writing regularly, so you should persevere and wait for the results to happen. Always carry a notebook and a pen. You will easily record what you want if pen and book is available. In addition, you can use a simple note software which is installed in your phone, tablet or other device. Record any content you like. Just “drop” the words and do not worry too much about their meaning. You do not have to take too much spelling, grammar, or style, and do not care about other people’s thoughts. You can hide your own diary if you want. You can also share some content with family, friends or a specialist if you find it helpful. You can also write blog. Everything depends on you and the comfort level of writing the diary. The next treatment in this list of tips on how to treat seasonal affective disorder at home is using antidepressants. This drug affects the nervous system of the brain that inhibits negative emotions. Antidepressants are classified based on the neurotransmitter that they affect. Common antidepressants include SSRIs, SNRIs, MAOIs, and tricyclics. You can find on the internet the names of widely used antidepressants. Psychiatrists will prescribe medications that are appropriate for your condition. A psychiatrist may ask you to take various medications until you find the right type. Some antidepressants have a negative effect on the patient, so keep a close relationship with your doctor and take note of any negative or unwanted mood changes. Sometimes you need to take other medicines to solve your disease. Antidepressants take time to exert their effects, as they regulate the brain’s chemical equation at a slow and steady pace. 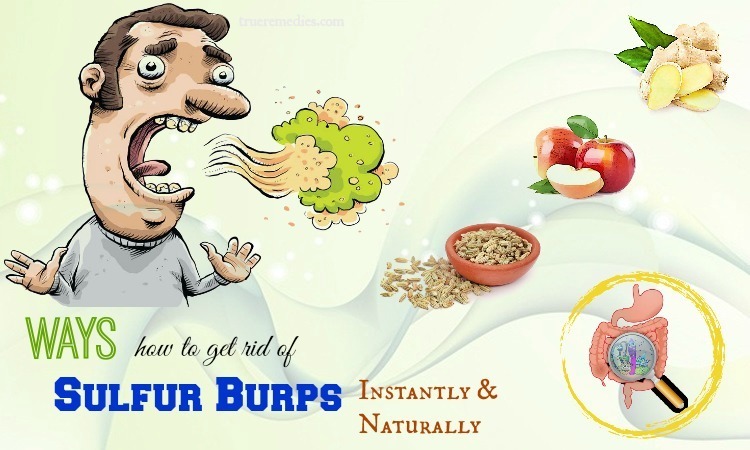 In general, you should take medicine at least three months to get the desired effect. Seasonal affective disorder often makes you feel lazy, tired and sleepy. However, you are very hard to sleep well. Therefore, you can also consult a psychiatrist about the use of sedative. If antidepressants do not work, psychiatrists may recommend one of three sedative (aripiprazole, quetiapine, or risperidone). In addition, you can take combination antidepressant / sedative (fluoxetine / onanzapine). These drugs can treat depression if antidepressants do not work. In order to optimize the effectiveness of the drug, you should continue to see a psychiatrist regularly while taking medicine. This sounds strange when it comes to tips on how to treat seasonal affective disorder at home, but it works. For the exercise to be effective, you should set goals for SMART, which stands for Specific, Measurable, Attainable, Realistic, and Timely. Follow these instructions and you will feel the taste of winning the goal. Start with the “A” criteria in SMART to set goals. You should build the first feasible goal, because if you achieve the goal, your mood will become better. In addition, you will also be confident when you set your next goal. If you cannot motivate yourself to do more (such as walking 10 minutes a day), you can encourage yourself to do more (such as walking 10 minutes a day for a week, then a month, and finally throughout the year). Then you will know how long you can maintain the training. You should consider each workout to improve your mood and think positively for change. Even a five-minute walk with average speed is better than no exercise. You should be proud of your accomplishments, whether large or small, as it will motivate you to move forward on your emotional recovery way. This small tip brings unexpected results in regard to how to treat seasonal affective disorder at home. Some studies suggest that sun exposure has a positive effect on emotions. The reason is because the effects of vitamin D come from a variety of sources (not just the sunlight).Some prescription consultants use solar lamps for depressed patients living in areas where there is little sunlight in the winter: this type of lamp works the same way as when going out in the sun. If you are going out for a long time, you should apply sunscreen and wear sunglasses to protect your skin. Spend more time outside. You can garden, stroll, and perform some outdoor activities to enjoy the benefits of sunshine and fresh air. Enjoying fresh air will help relax the mind and relax the body. Besides, you can also participate in creative activities. Researchers believe that creativity in depression is related to one another, such as the susceptibility of creativity. However, depression usually occurs when a person is unable to recognize their creative potential. Therefore, you should regularly write, paint, dance or perform some other creative activity. Although you want to be alone and stay away from others, your mood will be better if you spend time with others. Trust your friends and family members. Spend a lot of time meeting people who can help you feel optimistic about yourself and your life. Good friends not only help you overcome seasonal affected disorder by sharing about it, they can also make you feel loved and helped. It’s the best for you to spend more time with family. Your family will make you feel loved and shared, so try to spend a lot of time with them. If your family is in another country, take the time to call them as much as possible. If you have a friend or family member who suffered from this disease, talk to them and take their advice. Sharing your condition with experienced people is really beneficial for your treatment. 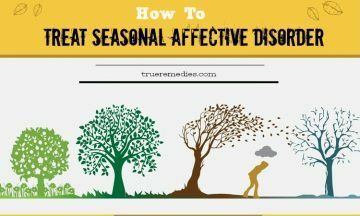 In order to know how to treat seasonal affective disorder symptoms, you need to clarify your relationships into good and bad ones. Then, try to get yourself rid of bad relationships. If someone makes you so miserable, it’s time to give up on that relationship so you do not feel bad again. If you cannot give up that person, for example, a relative in your family, you can spend as little time with that person as possible. To know how to treat seasonal affective disorder at home, your treating process should start from your own mind. Thinking positively helps you look at life and the world with hopeful eyes instead of disappointment. Let’s think more positively, then you will learn to recognize negative thoughts and quickly eliminate them with positive thoughts at any time. To get positive thoughts, find at least five things that make you happy every day. If you act positively, you will think positively. Think about the good things in life and spend time doing things that make you happy. If you spend more time thinking about things that make you smile and spend less time thinking about things that annoy you or things you do not like, you will find yourself thinking more positively. Go to bed and wake up at a certain time every day. 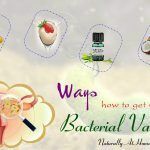 This will help you feel good and easy to fall asleep at night as well as wake up in the morning. Quickly get out of bed and drink a glass of water instead of shutting down the alarm clock and continuing to sleep five minutes before you get out of bed. Create a good sleep habits. Relax for an hour before going to bed by turning off the TV, turning off the phone or tablet, and avoiding loud noise. Limit or remove caffeine in your menu, especially in the afternoon. Caffeine will make you have trouble sleeping. Avoid having a nap longer than thirty minutes, unless you really need to sleep – it will only make you feel numb and tired. Discover the artist ability in you. Apply for a painting or watercolor painting class, or make porcelain and pottery. Express yourself through writing. Try writing a few poems, short stories or even the first chapter of a novel. Search for excitement with a foreign language. Discover a new sport. Join a karate, dance or yoga class. Discover a new team sport like volleyball or football. You will find new feelings when making friends with many people. Discover your love for reading by joining a book club. Pursuing your interests and passions. Take time to do something that looks silly but makes you laugh. Join outdoor activities. Do not spend all your time indoors. Instead, go out for the sun or do homework every day or read a book at a coffee shop. As mentioned earlier, the financial pressure, especially during the holiday season, makes you vulnerable to seasonal affected disorder. To overcome this, be generous with your beloved friends and those around you. If you are generous, you will feel more confident and build better relationships with those around you. This sounds irrelevant regarding tips on how to treat seasonal affective disorder at home, but helping people around can do a trick for your condition. Many people try to overcome the seasonal affect disorder by joining a local volunteer team. You can volunteer at the library where you live to help adults and children discover the joy of reading. You can also do volunteer work in an aged care center, youth organization or homeless shelter and see the difference you have made. Much more than that, you can also do community volunteering by cleaning the park. Just taking the time for nature can help you feel better. Sometimes, a small change in your appearance also does great job in treating your SAD condition. Having no personal hygiene is a common manifestation of seasonal affective disorder. Although you will not be able to get rid of depression by improving your appearance, however, if you spend some time taking care of your appearance and personal hygiene daily, you will feel more confident. Bathe and brush your teeth every day. Dress well when you meet people no matter how bad you feel. This will give you confidence and respect yourself. The aforementioned are tips to help you get rid of seasonal affective disorder. As you can see, they are all very useful. 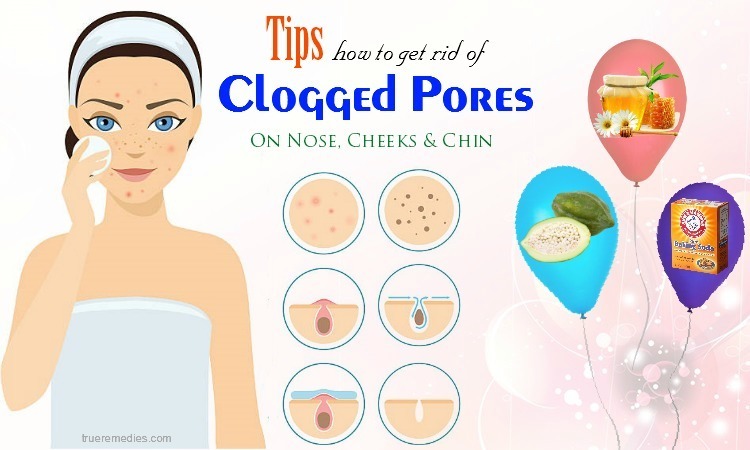 Do not hesitate to apply them today because your condition needs to be treated as soon as possible. 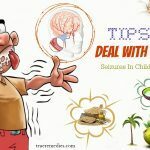 If you have any contributing ideas about our article of “Top 22 Tips On How To Treat Seasonal Affective Disorder Naturally At Home” introduced in How To Category, do not hesitate to drop your words below this post. We will answer as soon as we could.